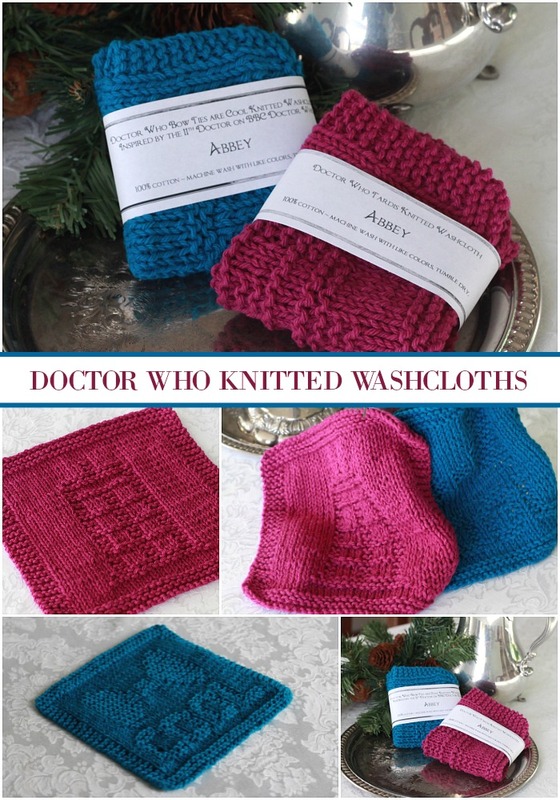 Do you have Doctor Who fans on your gift giving list? I was super excited to find these patterns. 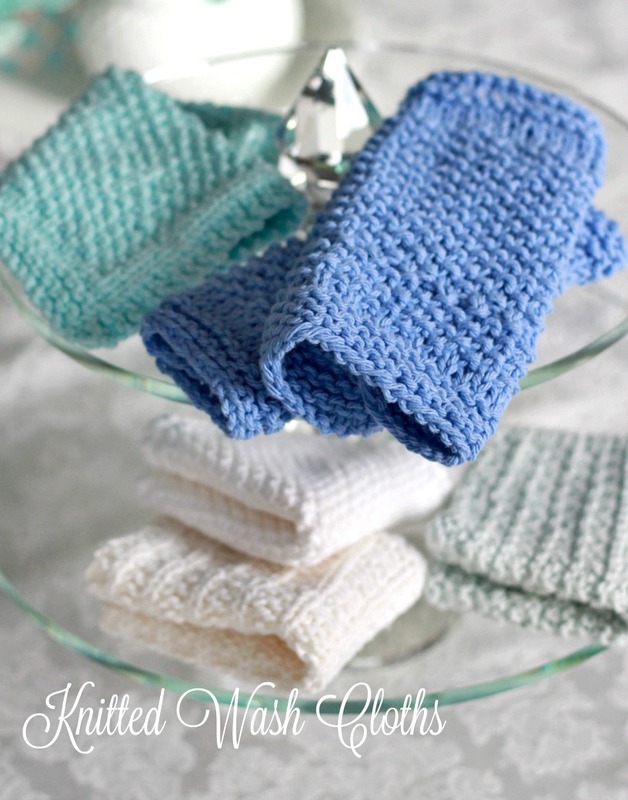 My daughter is an avid fan so when she asked if I would make her a few more knitted washcloths I began searching for something special. They came out perfect. I thought they would be complicated so I was extra careful as I followed each row of the pattern. The pink one is called Tardis and the blue one is called Bowties are Cool. Here is the link to more of these fun and free patterns by Lindsay at Holynarfcarfts. 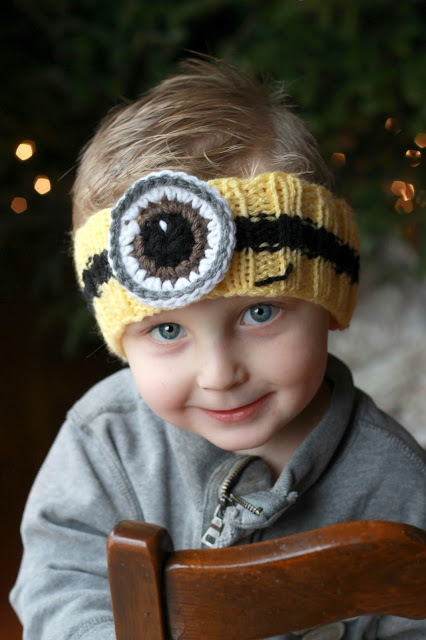 There are many free patterns available on the internet. I enjoy following a pattern as well as just knitting free-style, creating a pattern as I go. 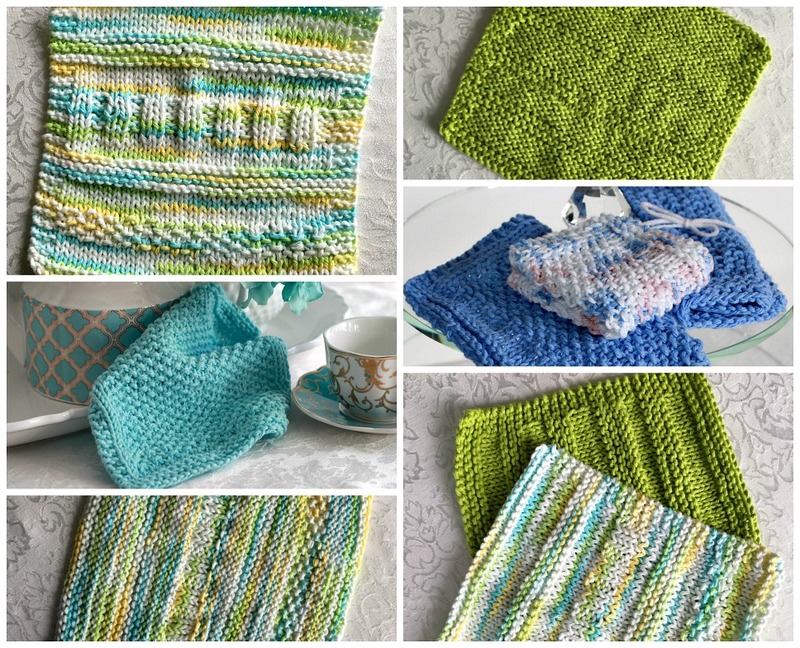 The yellow/blue/green variegated washcloth (above) is sort of a sampler, consists of a few rows of garter stitch, stockinette stitch, seed stitch and rib stitch. The lime green washcloth is just repeating several rows of stockinette and garter stitch. If you rather not wing it, here are links to some very pretty cloths. Photos 1 and 2 A collection of four lovely wash cloths designed by My Life in Knots especially for a beginner knitter. A little over a year ago I had my daughter knit me some dish cloths. The ones I'd received from an aunt decades ago had finally disintegrated. I don't knit – don't care for it at all! I use them as pot holders by the microwave, preferring sponges for washing dishes. 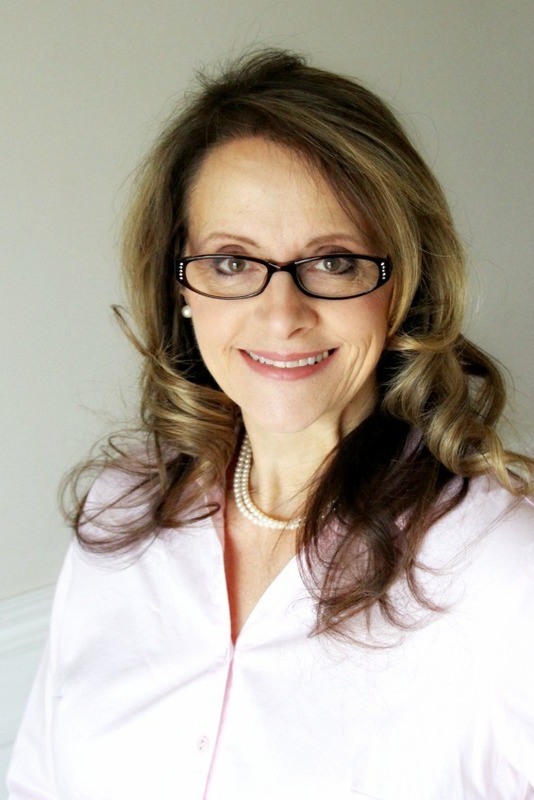 I think I'll forward this link to my daughter – we both like Dr. Who too! O dat is leuk! Nooit gezien / o that is nice. Never seen! I love to make and use knitted cloths. Yours are so pretty! What yarn is your favorite? 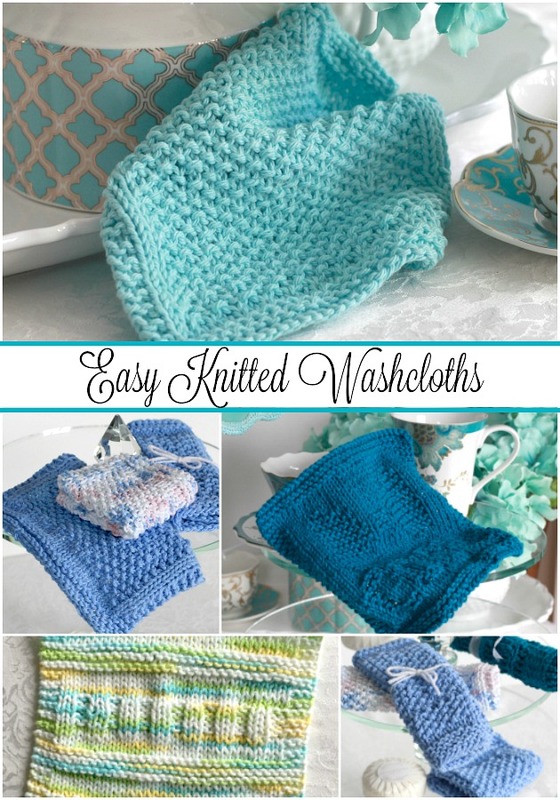 I received a crocheted dish cloth years ago and it was my favorite thing to use around the house. I wish I knew how to crochet so I could make my own. These are lovely. 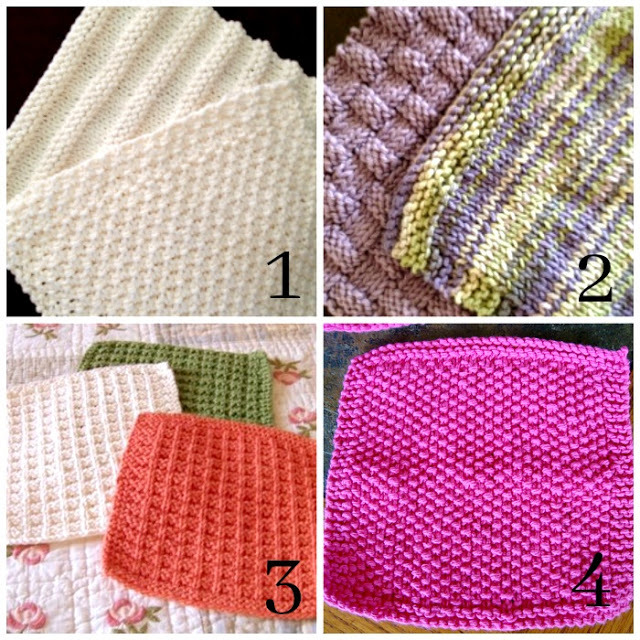 I have a few knitted and crocheted cloths given to me as gifts and I just hate to use them – they are so pretty. Beautiful, and such rich colors! My sister crochets me dish clothes every Christmas and seriously they are my very favorite. I can't bring myself to even use anything else. LOVE these! Have a good day!